In the latest round of VIPL, there were three games, all of which included a crystal power Skye. In expert hands, she was devastating! I’ve compiled some of the most impressive Skye plays so you can appreciate the skill involved. ARRRR, MATEYS! 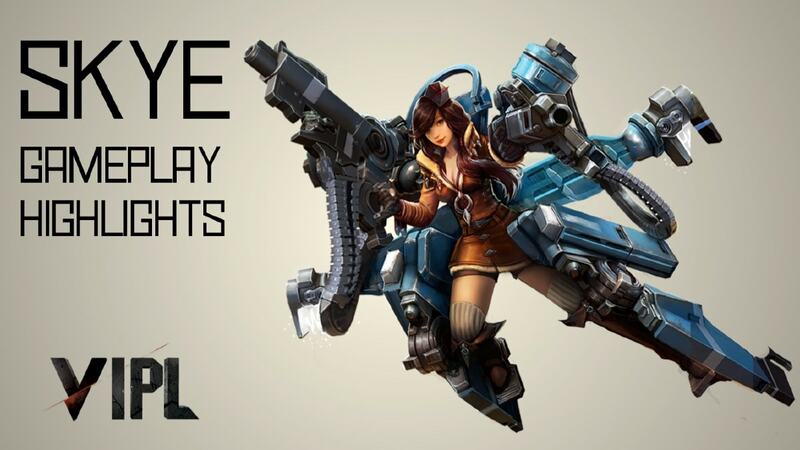 VIPL SPOILERS AHEAD! READ AND WATCH AT YOUR OWN RISK! If these GIFs are too small, click on them to go directly to the imgur page for each GIF, then right-click the image and hit “Open video in new tab” to see a larger version. Also, give the article a few moments to load all the GIFs. There’s a lot of them! After securing the gold mine, IraqiZorro attempts to rotate up to lane through his own lane bush, but isn’t expecting the enemy team to catch him with his pants down. Despite being caught off-guard, IraqiZorro keeps his cool and retreats briefly, only to re-engage with his team for a clean ace. Sad Catherine is sad as she crumples to the ground. Despite the teamfight going badly overall, IraqiZorro still manages to take out the KnightRay’s Ringo and put some decent damage on the remaining Celeste and Catherine. MAN, does Suri Strike hurt! Right after the above teamfight, IraqiZorro and the remaining WILD members trade a little harass in the jungle, then IraqiZorro and Zeratul’s Celeste both rotate up to lane to get some farm. Not seeing Catherine nearby, Iraqi goes in for the kill, but hastily retreats upon seeing Cath. He then uses his ultimate to zone the two WILD members out of their own side of lane, delaying them just long enough for his teammates to come in and finish off Zeratul while staying alive himself. When playing against a Skye, you definitely want something in front of you at all times, whether that’s an ally or a minion. If you take the full duration of Forward Barrage, rest in pieces, my friend. Here, we see an almost perfectly executed 3-man dive, with gabevizzle taking the brunt of the turret’s damage. Without turret aggro to worry about, Iraqi dives fearlessly into the midst of the enemy team, cutting off their escape and allowing an ace to be obtained. In the last teamfight of the game, IraqiZorro zooms to the backline and uses his ultimate to cut off the enemy escape while simultaneously using Forward Barrage to delete the enemies. Moving onto the SK vs. Hunters game, we see here SK rotating through jungle after picking up a kill on Hunters’ Koshka. However, Bayu on Rona is caught out and quickly taken down by Wands on Skye, who then finishes off Fortress and manages to survive MEDIC’s Adagio onslaught. In this teamfight, Koshka initiates with Yummy Catnip Frenzy onto MEDIC’s Adagio, and both Ardan and Rona group up on her to try and take her down. BIG mistake! Skye rains down Death From Above and catches all three of them in there, dealing a decent amount of damage as well as stunning and heavily slowing them, setting everyone up to be killed quite easily. As Bayu and ADZero try to run away, Skye’s strength in chasing is very, very clear. In the last Broken Myth tier list, Skye was ranked as the #3 lane carry, and you sure can see why! Her damage output is immense if you can land those crucial skillshots, her chase is amazing, and her zoning potential is simply fantastic. Take her out for a spin! Disclaimer: Broken Myth does not own the footage in this article. These GIFs were cut from the VIPL tournament footage, broadcast by OGNGlobal. I'm a longtime Vainglory player. I like to think I'm okay at this game. I'm a co-leader of Team Smurf and am active on Twitter (MrTouchnGoVG) and Reddit (MrTouchnGo)!